Going to college is extremely exciting, not just because of new life adventures, but also because of the new people you take those adventures with. Not every adventure is a fun one, however, especially when it comes to living with another person. Tempers are tested and toes are stepped on. 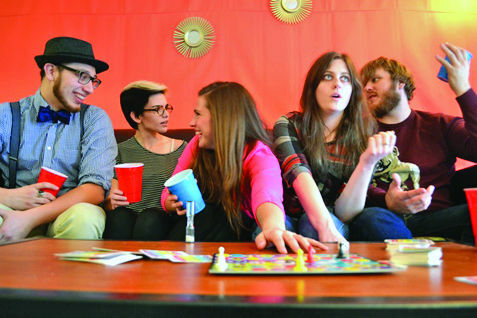 “Roommates” is a web series that is written and directed by Moses and is set to air on YouTube on Feb. 26. Reagan James auditioned for the series at the end of last semester. James plays Madison Brown, who goes by Madi. She is a fun, loving and extremely girly sorority girl. According to James, most of the cast and crew are students at ETSU, but Moses is really open to having anyone help out if it will benefit the series. James also commented that it’s great to be around so many talented people on set and know that they will be supportive and helpful in any way they can.